A record-setting seizure was made in the town of Guayaquil, when the authorities discovered two large shippments of the illegal drug set to sail to foreign countries. Cocaine business is rapidly adjusting to law enforcement efforts and constantly changing its major transportation routes. Judging by the quantities of high-grade drugs discovered in Equador lately, the small South American country could be turning into a major transit centre directing the flow of drugs towards lucrative overseas markets. In early december, 10 metric tons of cocaine was found by the authorities in the Pacific port of Guyaquil, ready to be shipped to foreign destination for further sale. This bust brought the total confiscated since the start of 2016 to more than 81 tons, including both crystalized and base forms of cocaine, with a majority of the product in a highly refined state. That’s a significant increase in comparison with last year, when 72 metric tons were confiscated in the country over the full 12 months. The Guyaquil case actually involved two separate seizures. The first one netted 7.5 tons of cocaine hydrochloride disguised as shrimp feed that was supposed to end up in Honduras. Just a few days later, another 2.5 tons was intercepted en route to Netherlands, this time hidden in a cargo of bananas. According to the police, the bust was a product of a long-term survailance operation that took full three months to conclude. Eight people were arrested in relation to the seizure and will face charges for international drug trafficking before local courts. It is unknown whether the two groups involved were connected, but taken together these operations represent the biggest drugs haul of the year for Equador. Unfortunately, this spectacular bust is not an isolated incident and appears to be a part of an emerging pattern. This is an alarming sign, demonstrating that Equador is currently a major staging zone for transportation of cocaine accross the world. 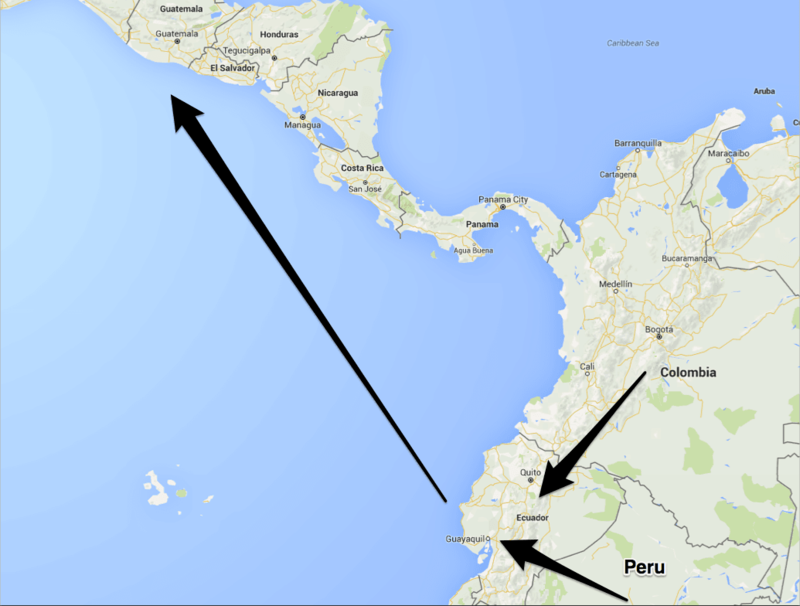 While the country doesn’t have significant areas under coca cultivation, its first neighbors Peru and Colombia certainly do and they are now using Equadorean ports to avoid suspicion. There are also rumors about direct presence of the notorious Mexican Sinaloa cartel in Guayaquil, one of the largest international ports on this portion of the coast. Due to intense legal traffic going through this port, only around 20% of cargo can be checked, greatly benefiting organized crime groups looking to move the ilicit product throgh Pacific routes.